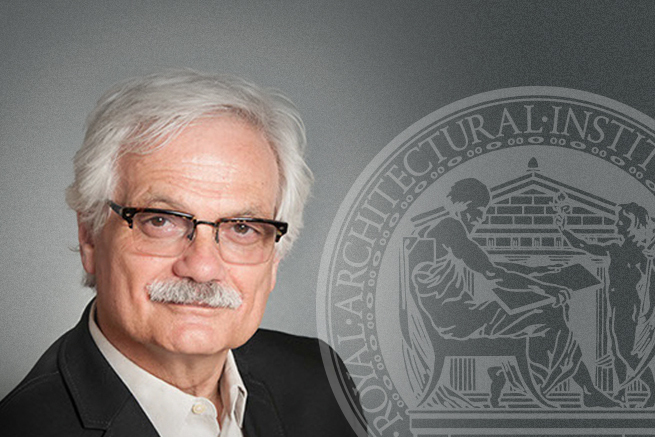 Tom Emodi, FRAIC, a Halifax architect, has been acclaimed as Dean of the RAIC College of Fellows for a three-year term beginning May 2018. “I commit to an active College working to release the latent potential in existing RAIC programs,” he says. Tom succeeds J. Robert Thibodeau, FIRAC, a Vancouver architect who served two three-year terms from 2011 to 2017. His experience encompasses over 40 years of architectural practice, research, and teaching in Australia, Canada, Africa, China, and the Middle East. Tom’s academic career includes more than 20 years as an architecture professor at Dalhousie University, where he also served as Dean of the Faculty of Architecture and Planning (1997 to 2003). In 2010, he and Caroline Caskey founded TEAL Architects+Planners, an architecture studio in Halifax; their work ranges from residential and commercial architecture to urban planning and design. The mission of the College of Fellows, founded in 1941, is to strengthen and reinforce efforts of the Royal Architectural Institute of Canada (RAIC) in its work to enhance and develop the profession of architecture. The College of Fellows formally recognizes members and distinguished laypersons who have made outstanding contributions to the profession. Fellowship is an honour conferred on RAIC members singled out for their contribution to research, scholarship, public service or professional standing to the good of architecture in Canada, or elsewhere. Fellowship is bestowed for life and is one of the RAIC’s highest honours. There are currently 760 Fellows across Canada.